Seriously guys, 3 ingredients and no oven needed. 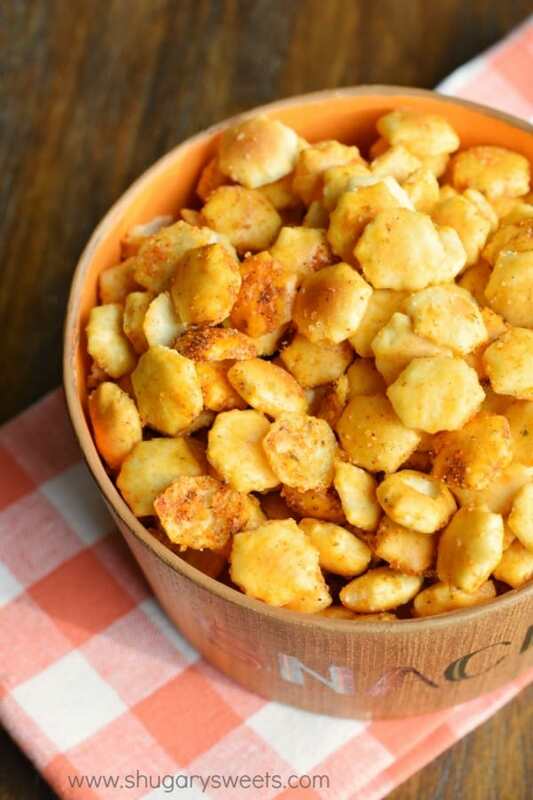 This Taco Seasoned Oyster Crackers recipe is a great alternative to chips and pretzels! 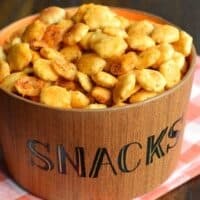 Years ago I made this Taco Snack Mix, and I often thought I should totally do it with oyster crackers. I mean, we all love Ranch seasoned Oyster crackers, right? What makes mine different than many version out there is I don’t bake them. I mean, I guess you could, but why? Haha!! Seriously, it’s easy as pie. Well, I don’t know why that’s actually a saying though, because unless you’re talking about a no bake pie with a pre-bought pie crust, I wouldn’t say pie is easy. Neither are Sunday mornings…with children. 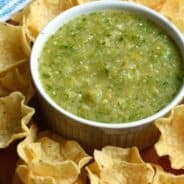 This taco flavored snack is crazy easy. Just make sure you’ve got some brown paper bags. I made a quick video to show you just how simple this is to make! The paper bag absorbs the extra oil, be sure to give it a shake a few times while “drying.” I usually let it sit for about two hours, then I pour it into my mouth a ziploc bag to keep it fresh longer! ENJOY! Place one brown paper grocery bag inside another so that you have a double lined paper bag. Pour oyster crackers into bag. 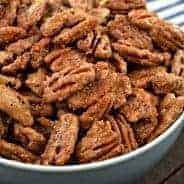 Drizzle with canola oil and add taco seasoning. Shake bag vigorously so that everything gets coated. 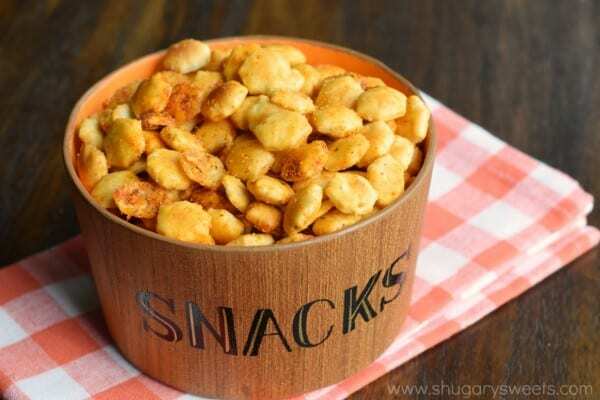 Allow to sit for about two hours, until bag absorbs excess oil (give a shake once or twice during this time to help distribute and coat the crackers). Once dried, pour into a gallon sized ziploc bag and store for up to one week. ENJOY. *I place my bag in the sink so the oil that seeps through doesn't get on my counters. I used to be obsessed with oyster crackers, especially on sick days. Nothing feels better when you’re sick than being in bed with oyster crackers and a Coke Slurpee! But this is my oyster cracker fix for when all is well. This looks phenomenal and I love the video! OMG yes to the Coke Slurpee. Our grocery store still carries them, haha!! 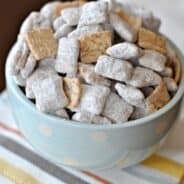 I make ranch seasoned oyster crackers that I am addicted too. Now that you have gone and made a taco seasoned oyster cracker my family might just have to stage an intervention. They are so hard to resist…. 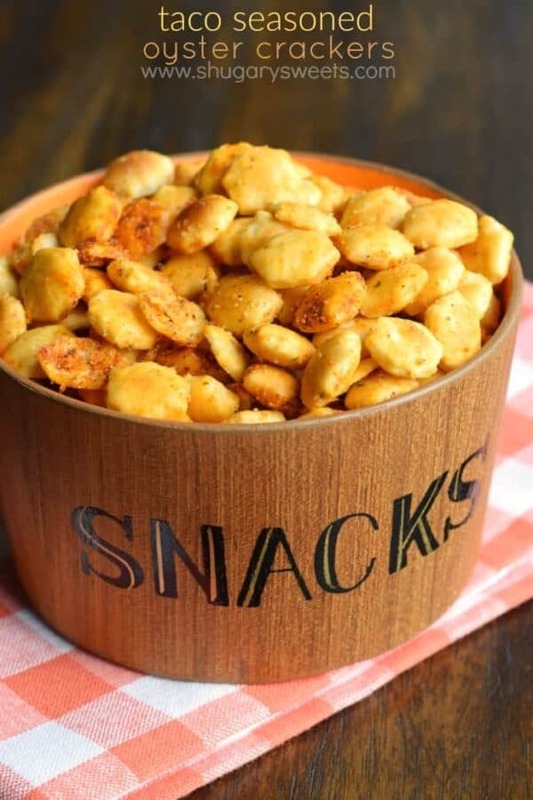 Oh my, a no-bake oyster cracker recipe. Easy peasy! 🙂 Addictive too. I’d be eating these crackers by the fistful! They’d be awesome with a bowl of chili! I bet these are SO addictive! I couldn’t even start or I’d eat the whole batch!